This co2 laser engraving cutting machine is developed independently by Perfect Laser which integrates engraving and cutting functions. 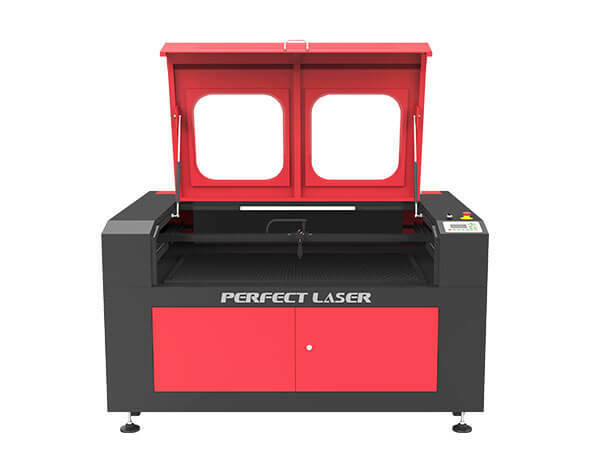 This model laser engraver cutter machine is based on various types of customer requirements, combined with our many years of equipment production experience, the use of a variety of advanced technology and special design, to achieve the perfect unity of the two functions of sculpture and cutting. 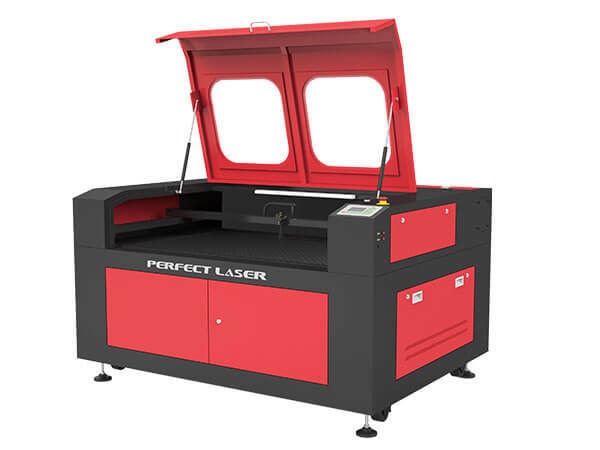 The co2 laser engraving cutting machine runs fast with simple operation and low cost; The engraving effect is good, no burr on the cutting edge, no secondary grinding, less cutting waste, carving depth of the best laser engraving machines can be adjusted independently and with high precision. 1. High-speed inner slide: the cutting speed of this laser engraver cutter machine is very fast, greatly improving work efficiency. 2. Convenient operation interface: Advanced LCD screen, the laser engraver cutter machine supports PC and USB2.0 ports, DSP offline control system, the user interface is good, easy and simple. 3. Cover protection: sealed chassis design of the co2 laser engraving cutting machine to ensure the safety of processing environment, a unique cover protection design to ensure that operators open the laser engraver cutter machine cover, the laser power supply to suspend work, to protect the safety of the operator. 4. Visualization working path: The laser is invisible light, in order to let the operator more specifically process the concrete place, the industrial laser engraving machine adopts the red light indication method to realize the precise positioning of the laser beam. 5. Optional electric lifting platform: up and down to adjust the working height of thebest laser engraving machines, to meet the processing requirements of different thickness of the object. At the same time optional knife working table of the co2 laser engraving cutting machine is suitable for different processing materials. 6. Drawer ladder design: it is easy for the best laser engraving machines to collect and obtain the cutting object. The industrial laser engraving machine is widely applied in garment materials，advertising，wood materials，etc. nonmetal materials. 1. Garment materials: textile carving, leather carving and cutting, cloth carving, shoe carving, fabric carving,denim carving, toy cutting, wool cutting,carpet carving and cutting, denim carving and cutting. 2. Advertising material: such as plastic engraving and cutting, acrylic engraving and cutting, PVC plate engraving and cutting, rubber plate engraving, organic glass engraving, seal engraving,organic glass engraving, granite carving, plastic engraving,marble engraving, Paper carving and cutting，EVA material carving. 3. Wood materials: MDF carving,wood carving and cutting, plywood cutting.